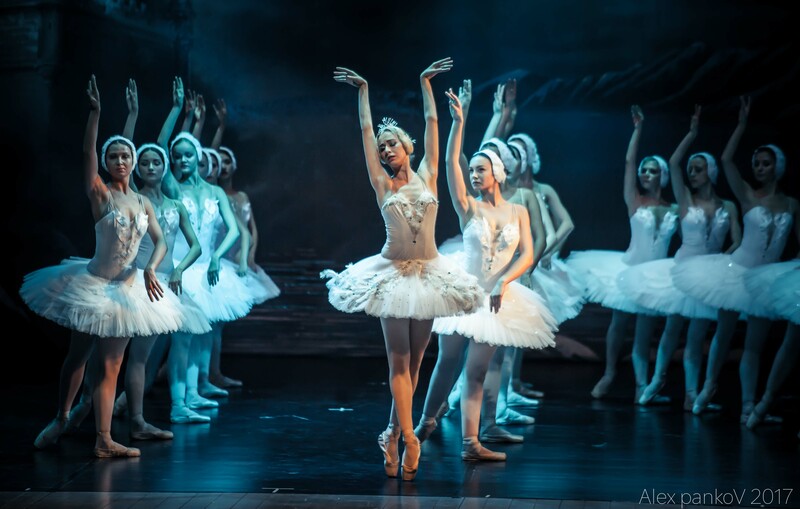 Swan Lake by Pyotr Tchaikovsky, was composed 1875–1876. The scenario, initially in four acts, was fashioned from Deutsch folk tales. The choreographer of the original production was Julius Reisinger. The ballet was premièred 1877 at the Bolshoi Theatre in Moscow. January 15, 1895 at the Mariinsky Theatre performance was staged again. 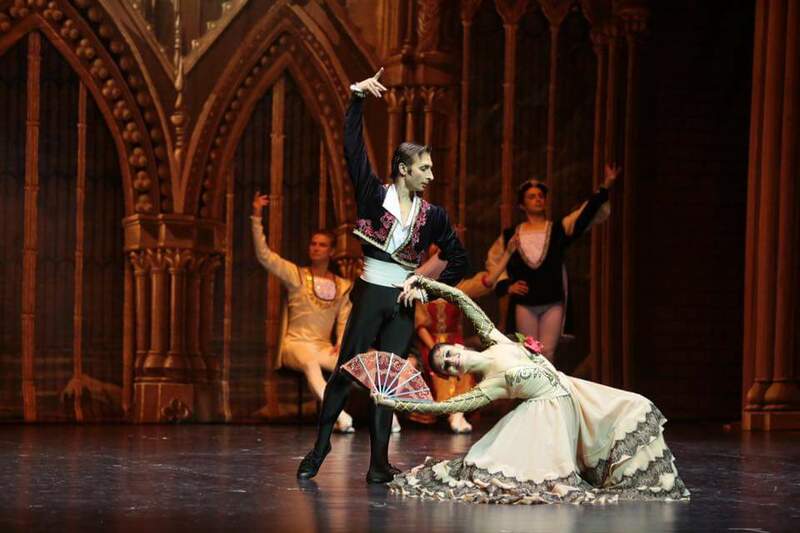 Choreography by Marius Petipa and owned by Lev Ivanov, who has become a classic. The Garden of Prince Siegfried’s Castle. Prince Siegfried has come of age and entered upon a new world of affairs of war and the burdens of manhood. It is the day for leaving behind the whims and caprice of youth. A happy day for the Prince, though touched by anxiety. The kindly jester and tutor who have been the Prince’s loving companions since his childhood are the first to congratulate him. He greets his companions and joyfully accepts the congratulations of all the residents of the Castle. A Lakeside. The voyage to the lake takes the Prince into the depths of the forest. He approaches the Swans quietly and as he nears he sees something quite out of the ordinary. The Swans have stepped ashore and assumed human form! Siegfried lowers the crossbow, astonished with their striking beauty. He gathers his courage and reveals himself. Odette, the swan’s Queen, tells him of their terrible curse. They are all at the mercy of the wicked sorcerer Rotbart and only by finding true love can the evil spell be lifted. Siegfried, overcome with love at first sight, swears to her an everlasting love. As the sun beings to dawn, Odette warns him that if he breaks his oath, nothing will be able to help them. The Prince is completely overcome by the incomparable and exquisite delicacy of Odette, and swears that he will return and free her from the evil spell. As the sunlight touches them, the women transform back into Swans, cloaked in silence. The Great Hall of Prince Siegfried’s Castle. The castle resounds to the clamor of festivities. Renowned Princesses from Hungary, Russia, Spain, Italy and Poland are presented to the Prince. He must choose one of them as his bride, in order to strengthen his authority and consolidate his power. However, in none of these royal heiresses does he find a maiden comparable to Odette, to whom he has given his heart. He rejects them all. The Lakeside. Night falls again on the Lake. The swan maidens are anxious, for if the Prince does not fulfill his vow to set them free, they will be doomed to everlasting captivity. The sorcerer raises a raging storm to conceal the Swan Lake behind a screen of dark clouds, But the Prince rushes headlong through the storm to Odette. The sorcerer attempts to conceal her from him, but no power can stop the young man whose heart is so full of love.